I’ve been thinking about context all week. Last weekend I participated in an Urban Sketcher workshop with Frank Ching, a former architecture professor and phenomenal sketcher. We met in front of the Lenin statute in the Fremont area of Seattle. He explained how simply drawing the statue would be OK, but a better drawing would result with the statue in the context of its surroundings. Thinking about this concept, I suspect that I naturally seek out the larger story. It does, after all, make for a much more interesting drawing. 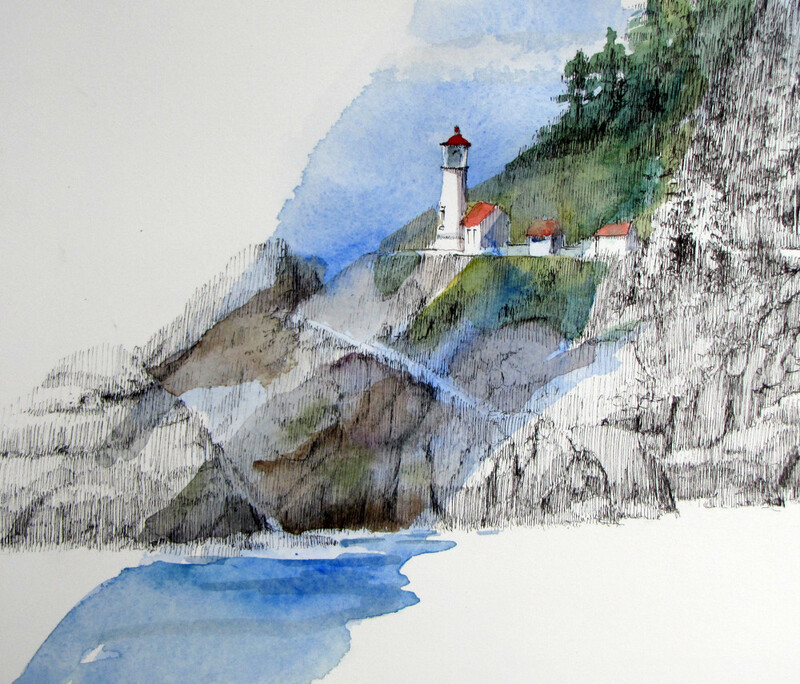 Along the Oregon Coast, I could have drawn just the lighthouse and nearby buildings. So true! A good urban sketch tells a story in the picture, and the same can be said of all good art. Glad you enjoyed that chilly morning at the Troll — I’m sure the workshop was worth a little shivering! I could only stand the cold for a short while. Yes, you’re so right. Context places everything in their right perspective.